The EPA says that within just one year, half to three quarters of annual resource inputs to industrial economies are returned to the environment as waste The Rotary Club of Wellesley wants to help reverse these trends by running two Repair Cafés a year; One in the fall and another in the Spring. Check the Calendar for specific locations and times. There are over 1.300 Repair Cafés worldwide. 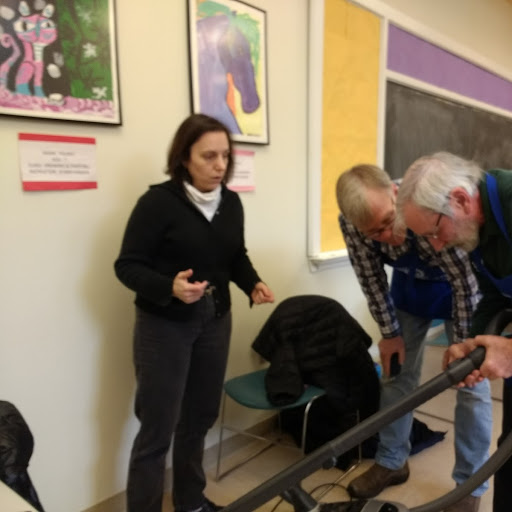 If you have questions, want to find out more, or volunteer to be a Repair Coach in Wellesley, feel free to contact John Adams at johnfadamsjr51@gmail.com or 617-817-0314. 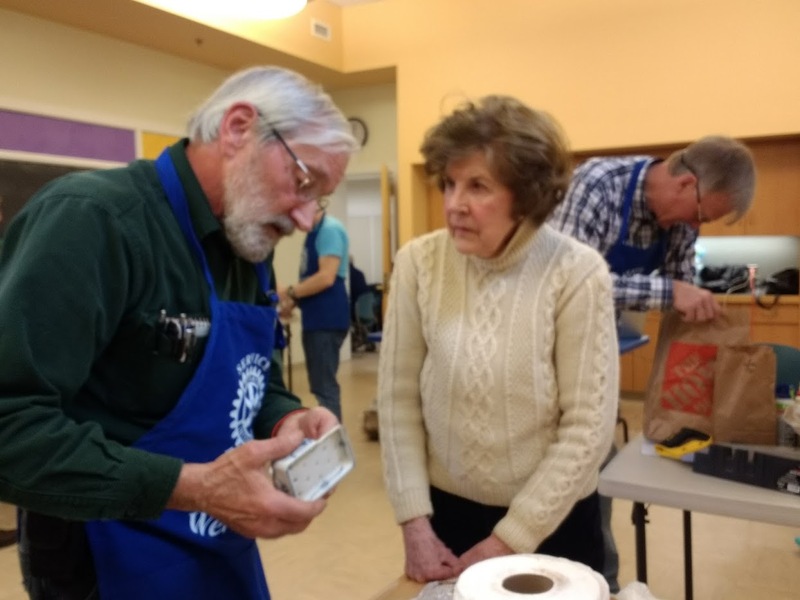 For more information, contact the “The Johnny Appleseed” for Repair Café, Ray Pfau at 978-779-5545 or ray.pfau@alum.mit.edu, or visit www.nashobarotary.org. The work carried out in the Repair Café is performed free of charge on a voluntary basis by the repair experts at hand. Visitors carry out the repairs themselves whenever possible, but repair experts on site can help if necessary. The fact that the repairs are being performed by unpaid volunteers reflects the allocation of risks and limitation of liability. 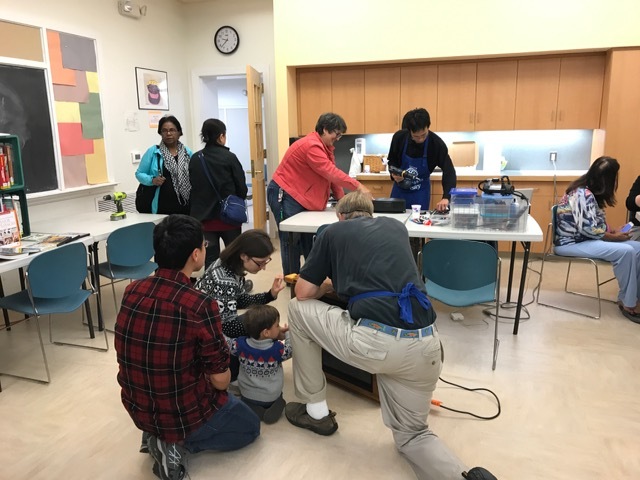 Neither the organizers of the Repair Café nor the repair experts are liable for any loss that may result from advice or instructions concerning repairs, for the loss of items handed over for repair, for indirect or consequential loss or for any other kind of loss resulting from work performed in the Repair Café. The limitations set forth in these house rules shall not apply to claims declared justified on the basis of liability arising by virtue of applicable consumer protection legislation which cannot be lawfully superseded. A voluntary donation is greatly appreciated. Any use of new materials such as leads, plugs, fuses, ready-made kneebends or applications will be paid for separately. Experts making repairs offer no guarantee for the repairs carried out with their help and are not liable if objects that are repaired in the Repair Café turn out not to work properly at home. Repair experts are entitled to refuse to repair certain objects. Repair experts are not obliged to reassemble disassembled appliances that cannot be repaired. Visitors to Repair Café are solely responsible for the tidy removal of broken objects that could not be repaired. To cut down on unnecessary waiting times during busy periods, a maximum of ONE broken item per person will be examined. The visitor will join the back of the queue if there is a second item for repair.